Working in partnership with some of the leading media companies around the world, MPP Global has a clear understanding of how publishers can complement their print and paid content strategies to maintain and grow revenues and subscriber numbers, especially in light of ad blockers. For the publisher it is vital to have a centralized view of your subscribers across all of the services they use and/or pay for. Unifying print, digital and all-encompassing subscribers within one platform enables the organization to centralise important information, garnering a holistic view of behavioral, customer and revenue data. This ensures services can be improved based on this information, vouchers and rewards can be targeted effectively, helping to streamline operations and potentially keep subscribers using the service. What can be established from the publishing industry is that while print still plays a dominant role in businesses acquiring revenue, strategies should be unified, with print and digital working together and all subscriber information becoming centralized to effectively understand audiences and improve services and business decisions. 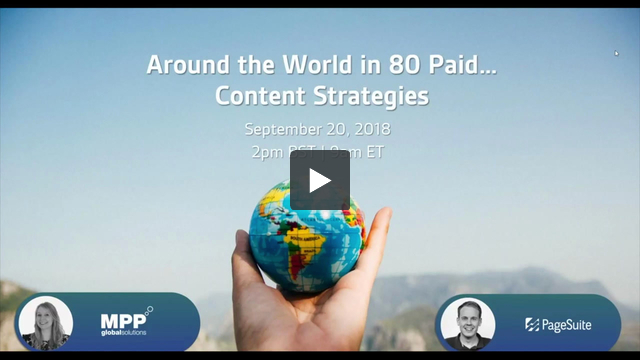 Our VP, Media & Publishing, EU, Ana Lobb and PageSuite Business Development Director, Ben Edwards joined forces in a co-hosted webinar to present a selection of paid content strategies and products from unique international markets, such as Africa, South America, Eastern Europe, Asia and the Middle East, to see how these stack up against the likes of North America, Scandinavia, mainland Europe and Australia. Are you looking at how you can develop new and existing strategies to grow revenues across print and digital? Let’s meet at the Digiday Publishing Summit in Miami, where we will be discussing useful hints and tips around strategy and best practice to maximise conversions. Get in touch to schedule a quick meeting.